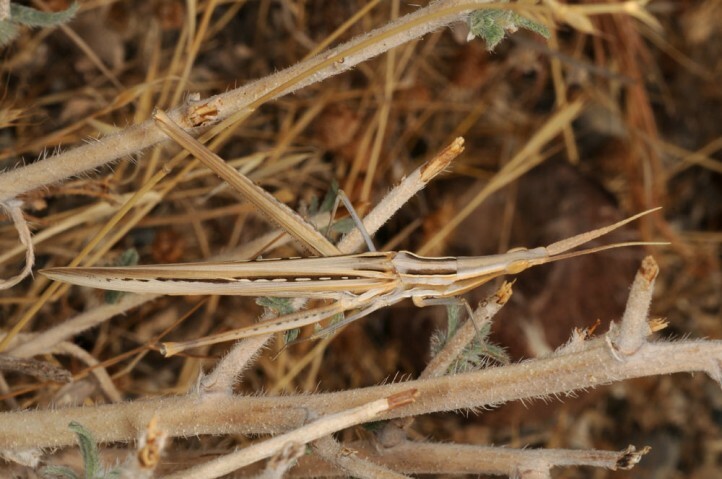 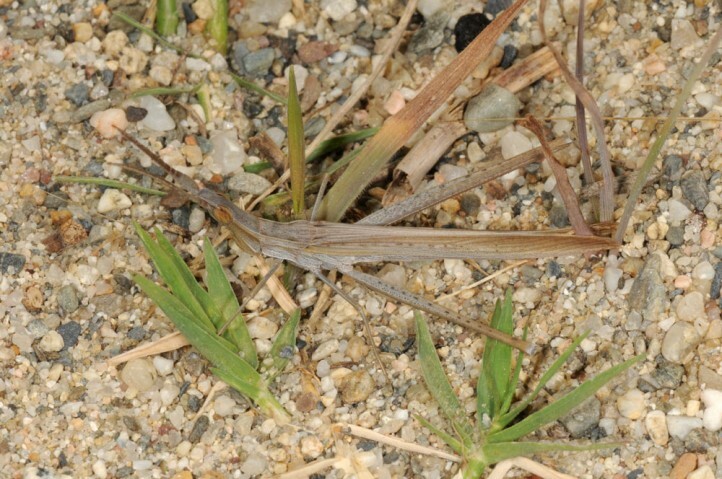 Acrida ungarica lives on steppe-like, very dry, grassy and only sparsely grown places mostly in lower altitudes. 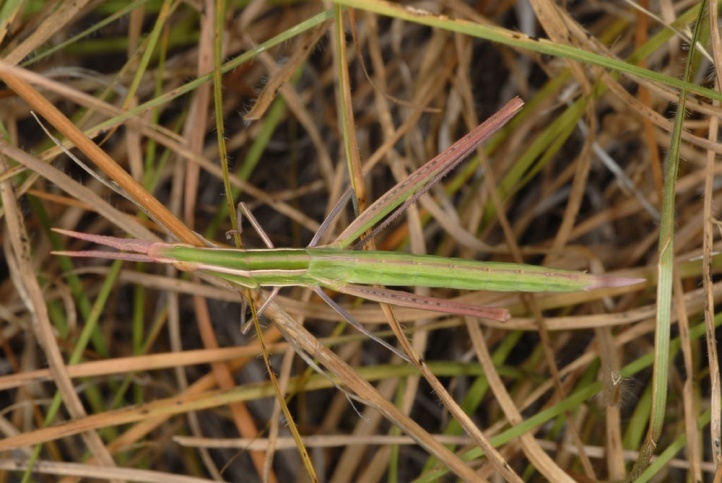 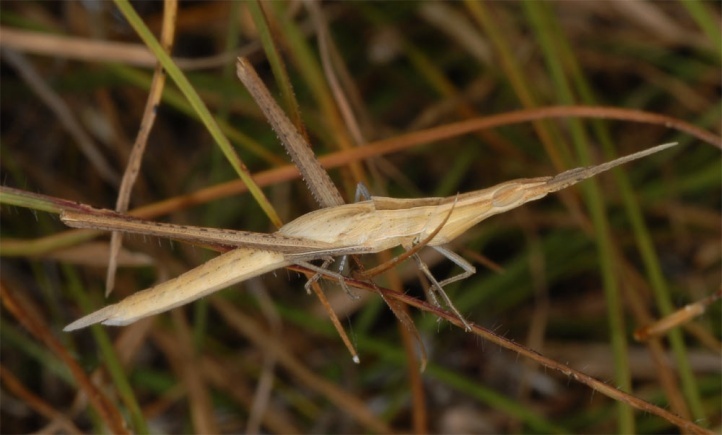 I observed Acrida ungarica very numerous in a small stripe meadow at the coast near the Olympus mountain in Greece. 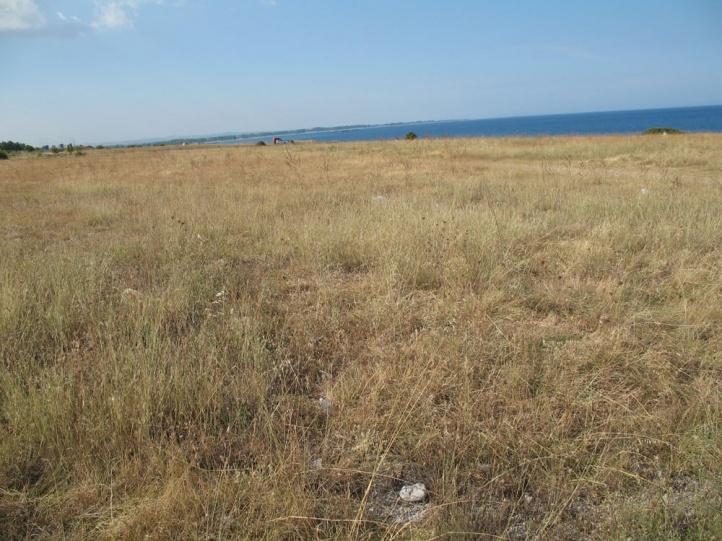 This place was threatened by rubbish, parking and driving cars etc. 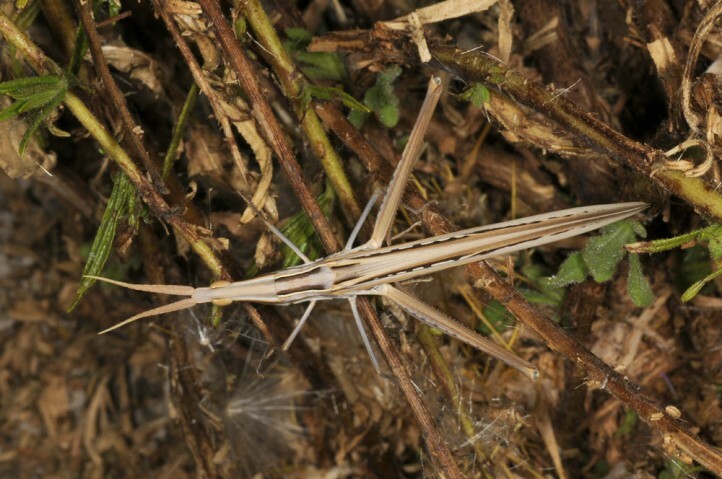 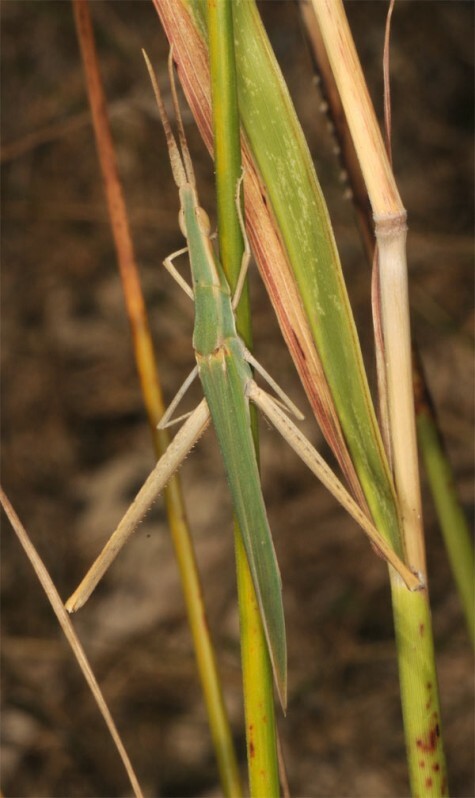 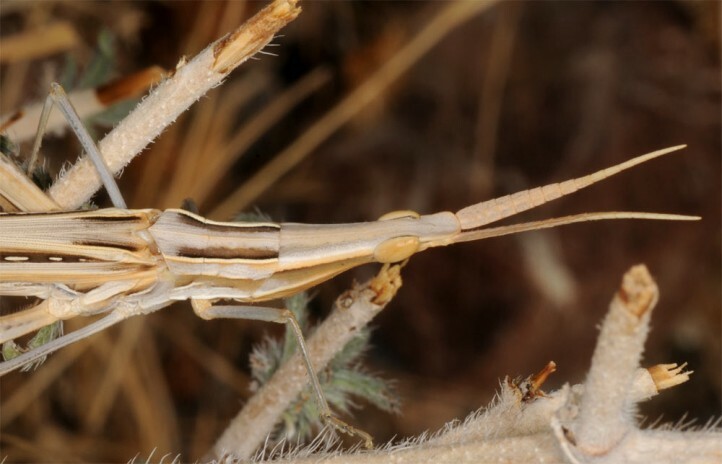 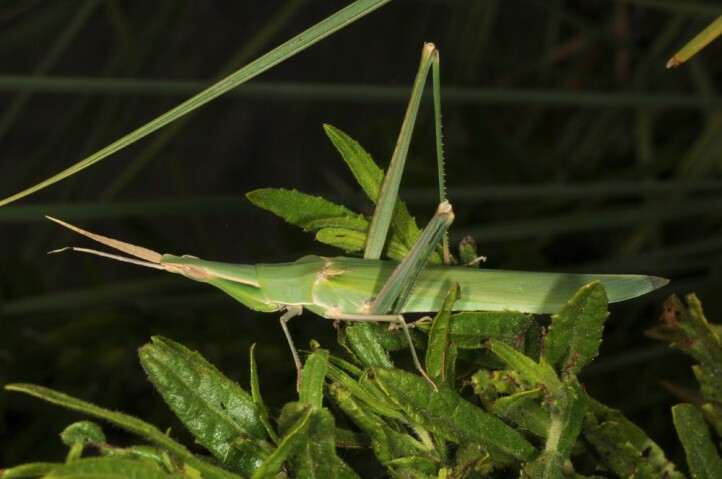 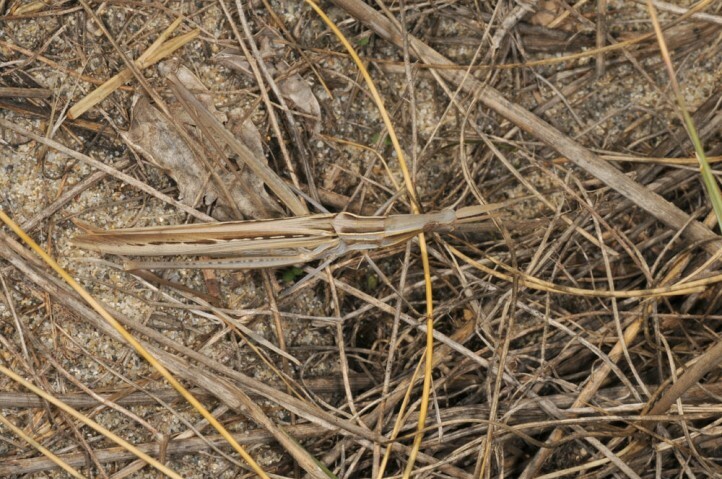 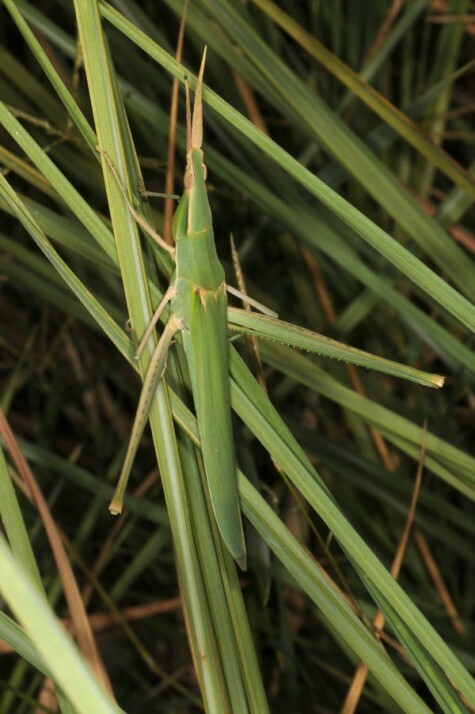 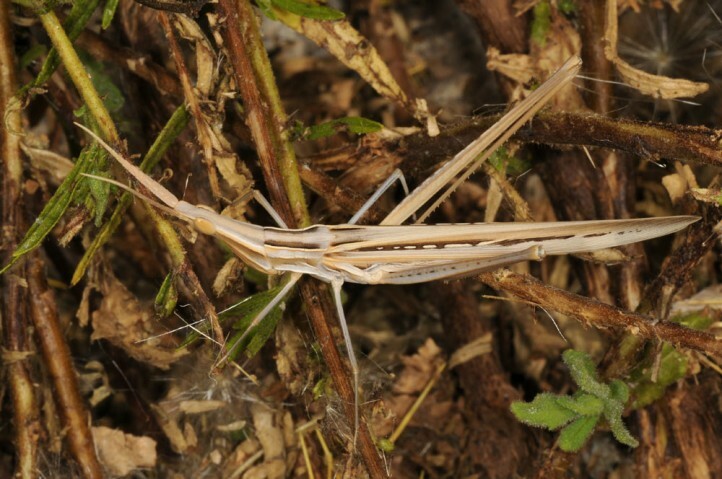 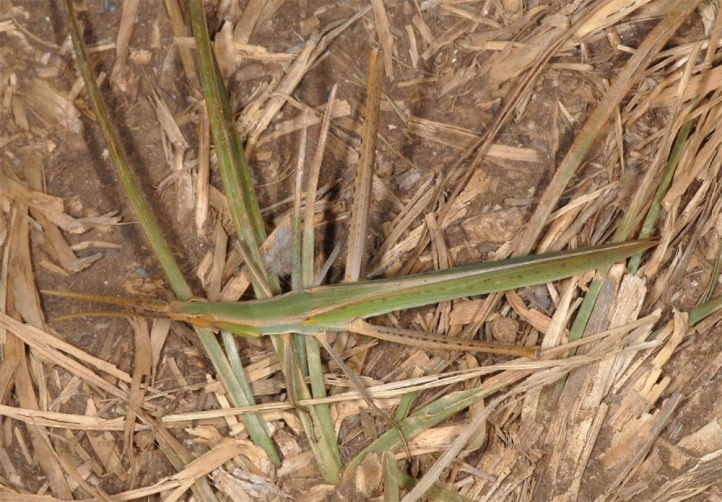 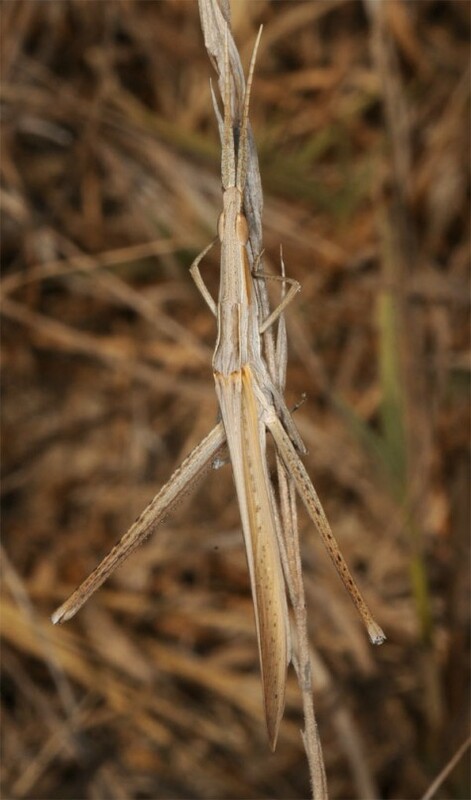 Acrida ungarica occurs as adult quite late between July or August and October/November. 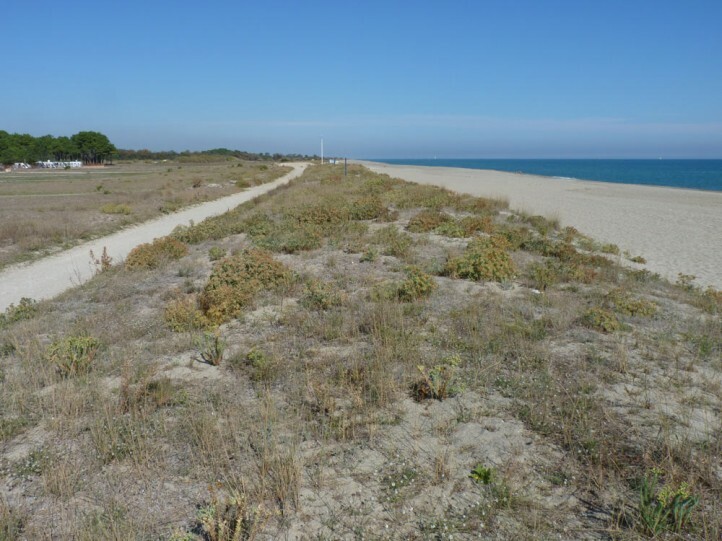 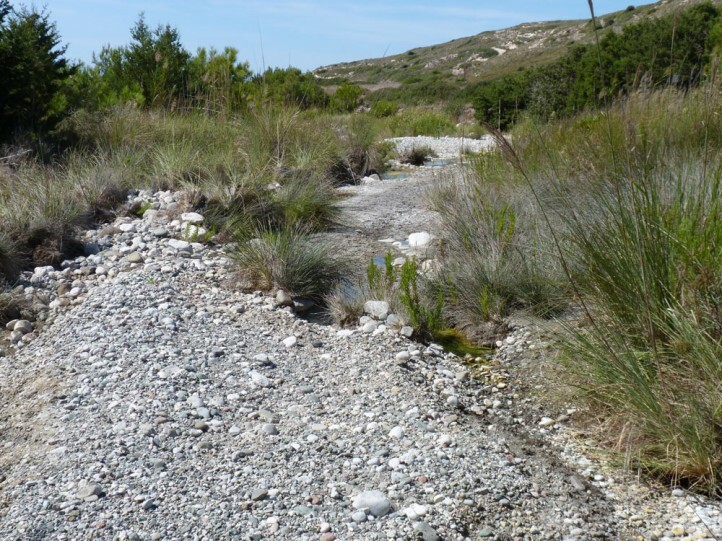 Because of overbuilding and tourism (especially in coastal areas) even this in the Mediterranean otherwise not demanding species is locally already endangered. 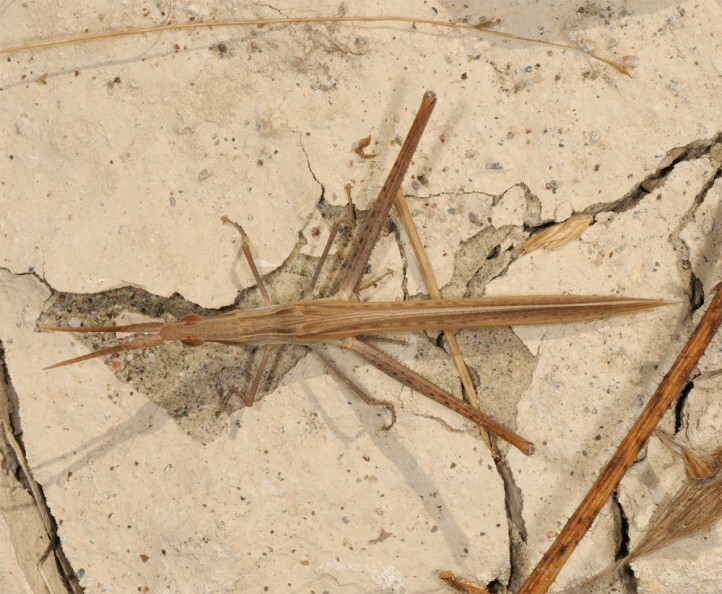 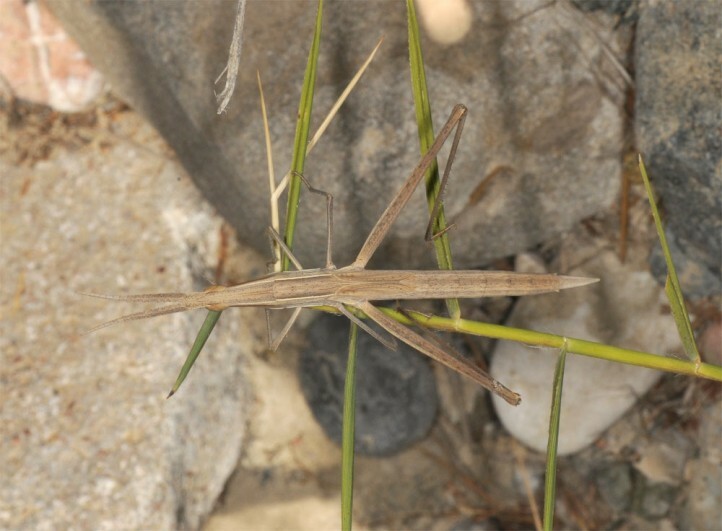 Acrida ungarica occurs in the Mediterranean region and can be observed very locally to the north as far as the steppe-remants of eastern Austria and Hungary.